What do chocolate chip cookies and radishes have to do with willpower, performing better, and time management? Willpower is a limited supply. A study from Case Western Reserve University illustrates the point. 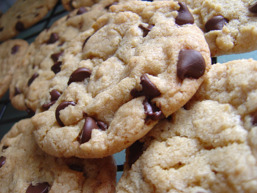 Researchers placed freshly baked chocolate chip cookies before two groups of participants, instructing one group to eat two or three and the other to eat radishes (while watching the others partake). Then everyone was asked to try to solve an impossible puzzle. Participants who had to resist the treats gave up on the problem twice as fast as those who were allowed to indulge. "Willpower is like gas in your car," says Kathleen D. Vohs, PhD, associate professor of consumer psychology at the Carlson School of Management in Minneapolis. "When you resist something tempting, you use some up. The more you resist, the emptier your tank gets, until you run out of gas." The good news: "Once you understand the forces that weaken your self-control, you can do a lot to strengthen it," says Vohs. Charles Duhigg’s The Power of Habit suggests concentrate your willpower where you need it most. Each of us has a limited supply of self-control, if you try to exert it in too many areas at once, you'll rapidly deplete your reserve. Don’t start your day by sorting and responding to your email. Use the part of the day that you have your highest willpower to focus on your highest priority task. When you start your day by sorting through emails you quickly diminish your reserve capacity of willpower. Sorting through emails, deciding which to keep, which to respond to and what to say in an email can be exhausting. It eats up huge amounts of willpower. Save reading/sorting through emails at the very end of the day, and warn everyone that’s your pattern. Instead focus on the most important task to begin your day. The Power of Full Engagement warns that it takes 23 minutes to get up to speed on anything. Most of us are interrupted every 7 minutes. If it’s not a phone call or email, it’s something on our desk distracting us from fully concentrating. That’s why a success force habit to start is to remove everything from your desk to start fresh without any distractions each morning. Another good rule is to plan your day with precision and specificity. Simply planning your next day with your six highest priorities is an excellent way to end each day. The next step however can ensure you get as much done as possible, and most importantly achieve your highest priority. Next to each item you’ve prioritized list the specific time and place you’ll work on it. If you begin each day with a clean desk, working on your #1 priority for the day for a full hour with no interruptions you’re likely to accomplish more and complete most priorities in the first hour of the day. It’s widely known that accomplishing one thing provides more energy and certainly momentum. Have you ever been dead tired at the end of the day working on a project, only to discover once you’ve completed it you suddenly have the energy to do more? That’s the feeling of accomplishment that renews and invigorates us! There is so much value to working on your top priority each day first that once you develop the habit it will be difficult to not make it become a routine. In fact you’ll discover you are so productive you’ll feel disappointed and unproductive when you don’t do so each and every day. How important is willpower? A experiment in the 1960’s at Stanford university with a group of four-year-olds suggests it’s a major determinant of success. The four year olds were offered a marshmallow right away, or if they waited a few minutes, they could have two marshmallows. 30% of the children managed to wait and double their treats when the researchers came back in 15 minutes. Years later when these students were tracked down in high school the researcher’s discovered the grades, SAT scores, the ability to maintain friendships and the capacity to “cope with important problems,” was highest in those four year olds who had delayed their gratification the longest. They had the best grades and SAT scores were 210 points higher than the other students. In addition they were more popular and did fewer drugs. 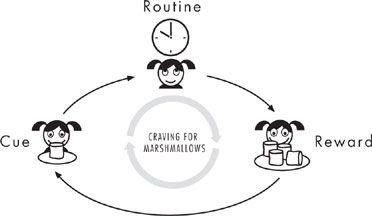 The marshmallow ignoring children had self-regulatory skills that gave them an advantage throughout their lives. When scientist began conducting related experiments to figure out how to help kids increase their self-regulatory skills they learned to teach them simple tricks to distract themselves. Drawing a picture or imagining a frame around the marshmallow so it seemed like a photo and less real helped them learn self-control. Perhaps the most powerful impact of willpower is that it is a skill. A skill, after all, is something that remains constant from day to day. 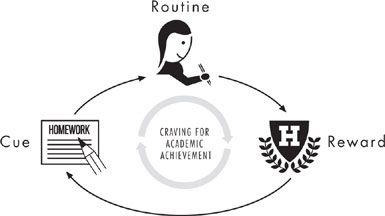 Better yet, as demonstrated by these children’s improved willpower, habits spill over into other parts of life. Wouldn’t it make sense then to hire and or train your people to demonstrate willpower in the workplace as Starbuck has done? Tom Verducci’s recent Sports Illustrated article on New York Yankee’s retiring shortstop Derek Jeter offers insights into the value of habits and routines. We’ll explore Jeter’s example of leadership, positive habits and example next blog. Want to learn how to implement positive habits and rituals in your business? Plan to attend Mastering the Rockefeller Habits Four Decision Workshop. Download the Mastering the Rockefeller Habits Four Decision Workshop flyer. Register to attend this event November 12th in Cedar Rapids.